I’m glad you like it. Thanks for following my blog. This picture is so dramatic both in terms of color and theme. Nice shot! Thanks, I like ‘dramatic’. That’s how it felt to me. What a heartbreaking and beautiful poem. I love the photo too. Thoughts I share with you that are so heart wrenching. Beautifully expressed. Thank you Angeline. Yes, this situation with the children is so heart wrenching. From what I hear the numbers of unaccompanied youth coming across the border are increasing! Oh no. I’ve been off the news grid a lot recently and hadn’t heard. Hard to say how this will end. So sad that this happened and may still be happening. So wrong. Great poem. Yes it is very sad… Thanks for sharing your thoughts. 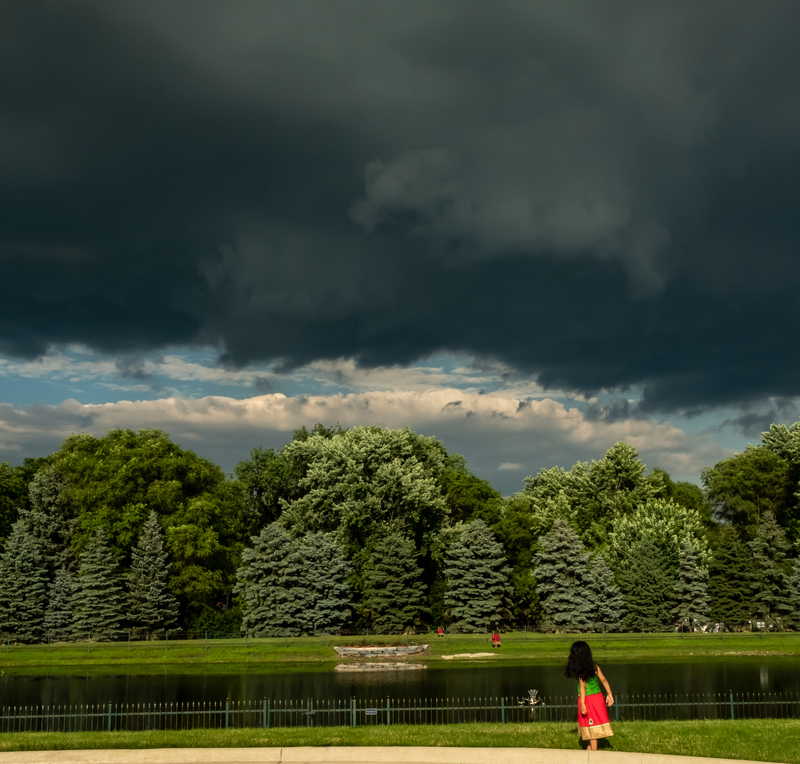 Interesting photo editing, creating a visual story of a young girl walking into the distance of an unknown, stormy future. What is happening concerning basic human rights is incomprehensible. 😦 Very powerful post, Arati. Thank you so much. This one means a lot to me. The thoughts, images and words have been laying just below the surface all summer. Finally a couple of days ago they coalesced into something tangible that I could work with.